Almost all the schools I have been to have in their corridor, motivational and inspirational quotes framed and hung diligently by the school’s caretaker and admired by parents, teacher and students. While these are acquired commercially and only available with quotes for a certain genre, there are many other scenarios I can think of where creating a custom picture quote would benefit the school. Using the examples I have seen and a little brainstorming with the team, we can already list 10 useful applications for creating these quotes in schools. Imagine the possibilities when you can create and print your own quotes or images from text without any special software or photo editing skills and most importantly it’s free. 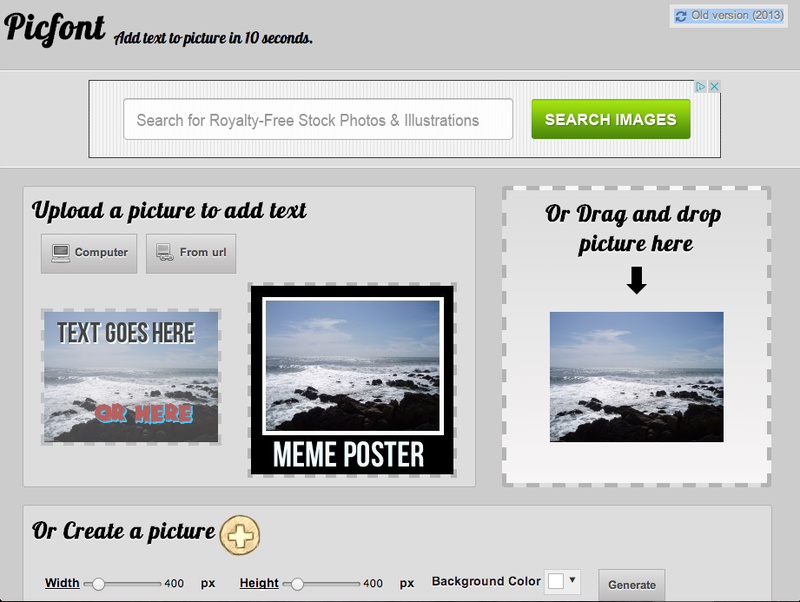 We trawled the web and tried the different web tools that lets you create and save your own picture quotes and meme posters for free. To make it relevant, we even used and shared these on our own websites and social media platforms. Totally FREE and No login required but you have to live with the RECITE logo and “Made with Love by piccsy.com” print at the bottom. Copy and paste the title of a Spotify track or simply type the name of the track to generate a link to your favourite song complete with album artwork. 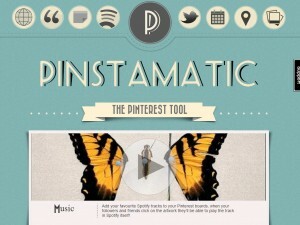 Great tool for Pinterest users or businesses trying to break into the Pinterest scene. 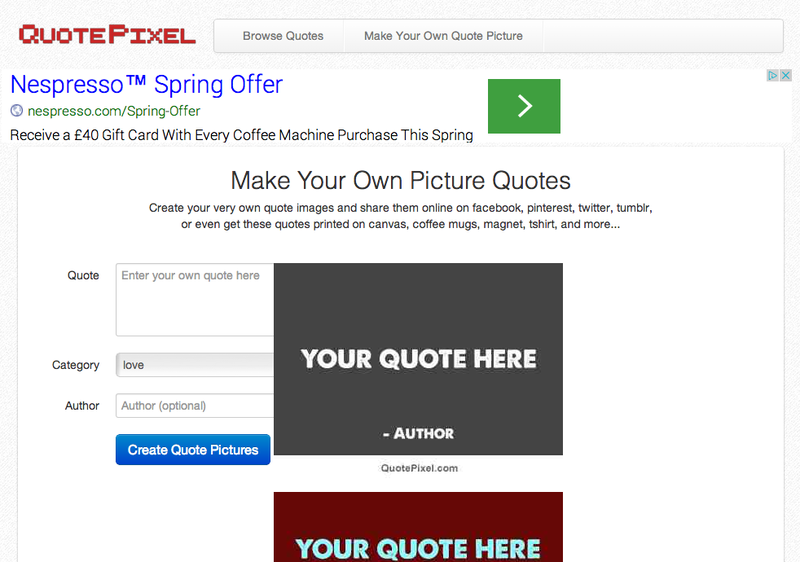 Upload or choose an image to start, then choose the type of text overlay and enter your quote then click Continue. 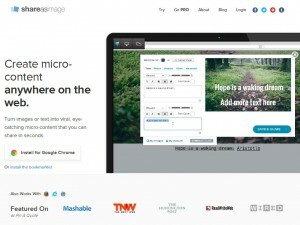 You picture will be ready for Pinterest, Tumblr, Twitter or email in the next page. 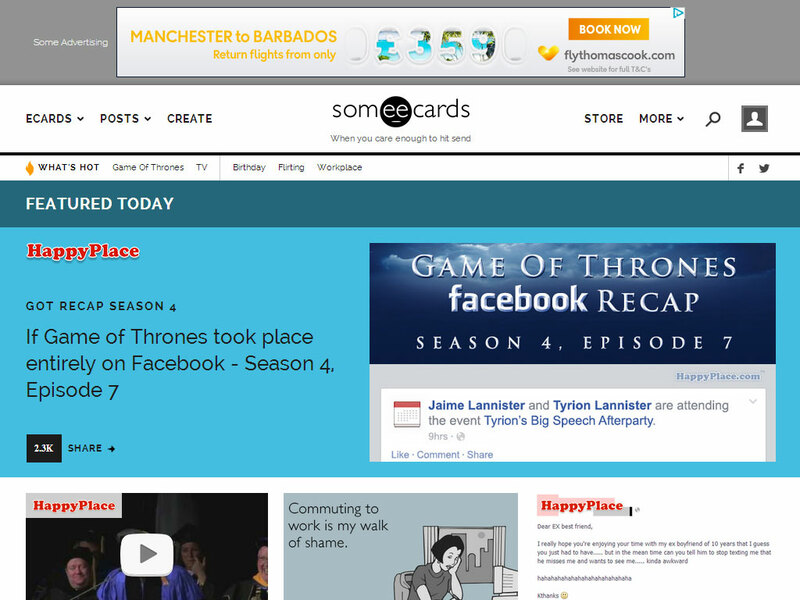 Sign-up for free with either your email, Facebook or Twitter. 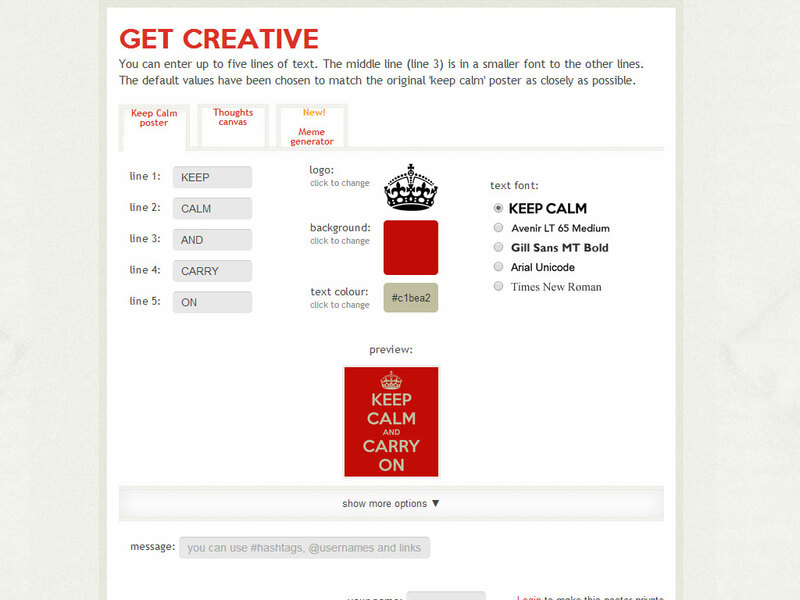 Once your login is ready, click Create poster, choose a background (size, texture, image), add text (size, type, colour, alignment and more), select an icon and finally, Create image. Write your thoughts on photos. 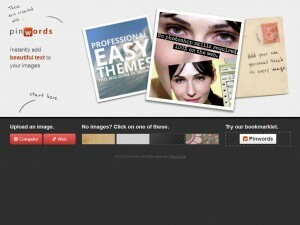 Start by uploading your own photo as background or use one from Chisel’s library of nearly 4000 images. Add your inspirational quote, or pick from articles or books, or simply use the caption to label the photo with the name of the place or people. 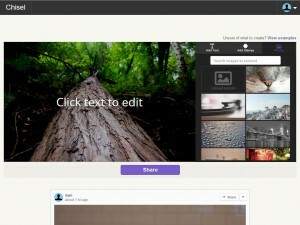 When ready, share your creation on Chisel, Facebook, Tumblr, Twitter or other social platform. 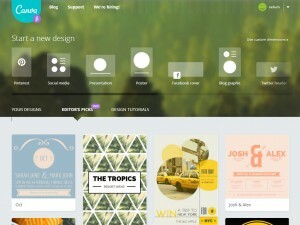 Canva goes beyond creating picture quotes and meme posters. This is a pretty powerful tool yet easy to use. You will need to sign up for an account, then follow a 23 second guide to create beautiful design in canva. Simply search for a clip art, or browse by category, drag and drop desired image, click on text to add text then click Link & Publish or Share directly to Twitter and Facebook. Templates: Pinterest, Social Media, Presentation, Poster, Facebook Cover, Blog Graphic, Twitter Header, Facebook Ad and more (or use custom dimensions). 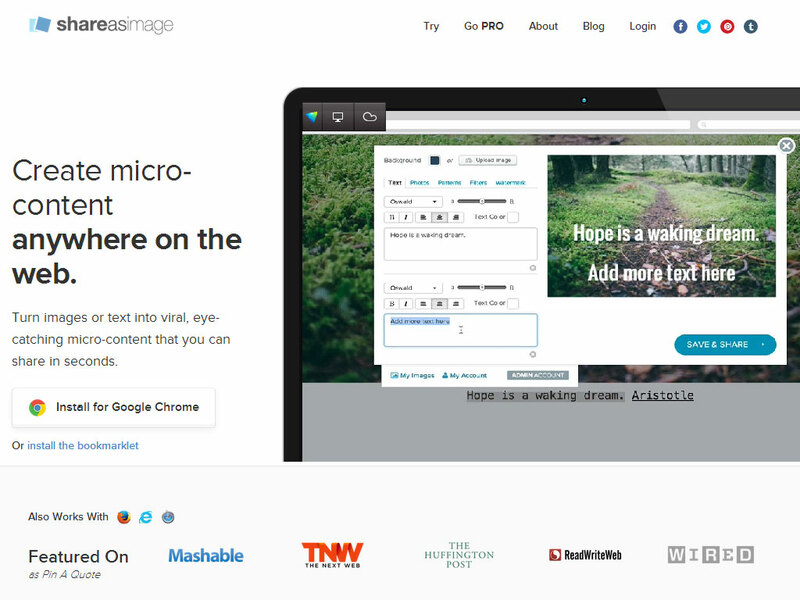 Choose a layout, drag and drop images into it to create a collage or choose a background. You can also upload your own image or choose a ready made graphic and use the Remix option to make it your own. Premium charges may apply. When you are ready click on the Link & Publish button to render and download a copy of your image. 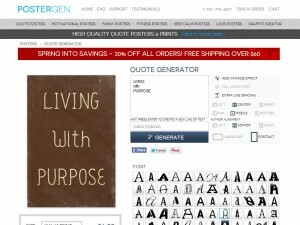 Search for quotes, ancient proverbs, greetings and messages or even invitation wordings from Quotes Cover’s collection or simply type your own in the Custom wording box. You then choose an editor suitable for the type of output you wish to create i.e. Viral Status Updates or E-cards, Facebook Cover, Google+ Cover, Twitter Header, Wallpaper or for prints. Save as JPG or PNG to your computer or simply publish to Facebook using the Facebook button. 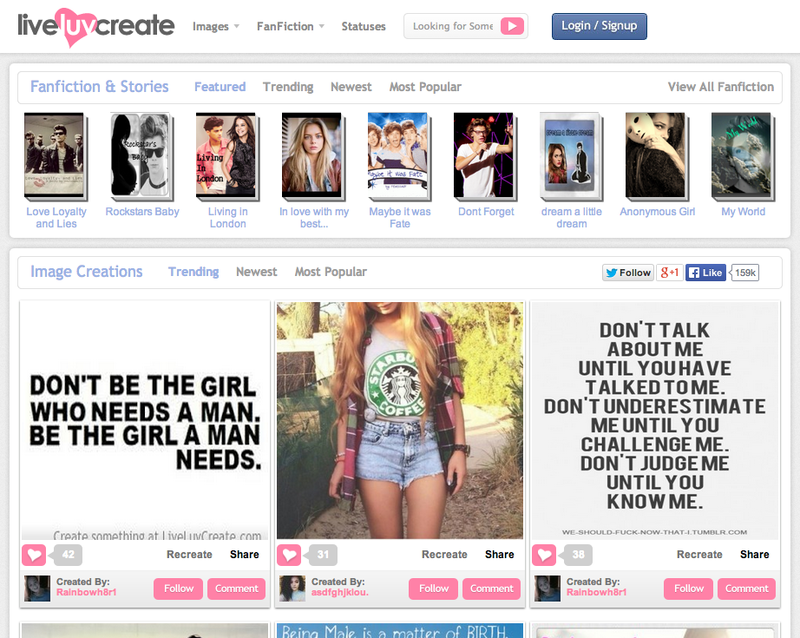 Once you have created an account, you can start to browse the images, fan fiction and statuses that other are sharing to get a feel of what liveluvcreate is about. 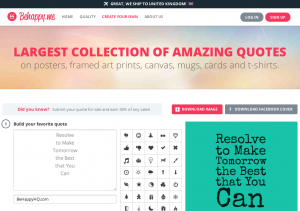 You will soon find that it is more than just a tool to create picture quotes and meme posters. The community on liveluvcreate not only create and share images but tell their fan stories on movie, TV show, book, musician or celebrity that they like and publish this under the FanFiction section. Similar to Pinterest, you are given a profile page where you can pin your own images, post updates, write your story and describe your profile. 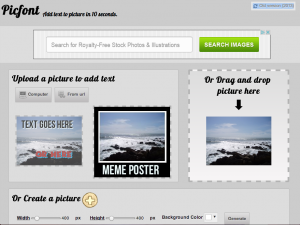 liveluvcreate lets you upload your own images, use pre-made images from their library, connect to facebook and grab images from your album or use a browser plugin to make it easier to upload images. 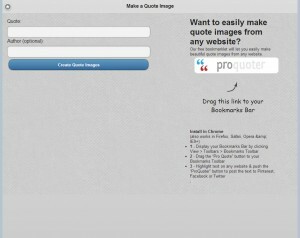 No nonsense, single page picture quote creation site that does just what it says on the tin. 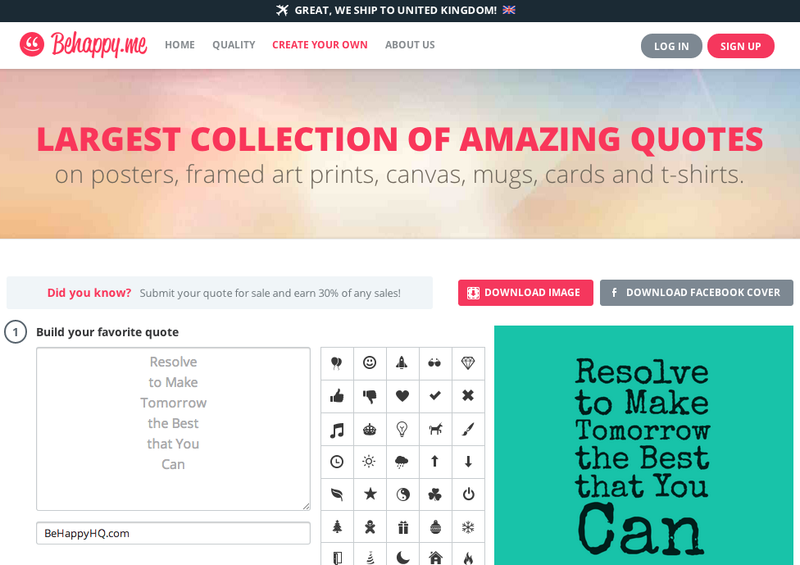 Looking to upload your own image, choose your own fonts, background colours, stamps or icons… look elsewhere. Here is a straight forward picture quote generator that is so easy to use, even a five year old can use it. Simply visit Make Your Own Quote Picture, insert your quote and author, choose your category and QuotePixel will generate a bunch of picture quotes for you. 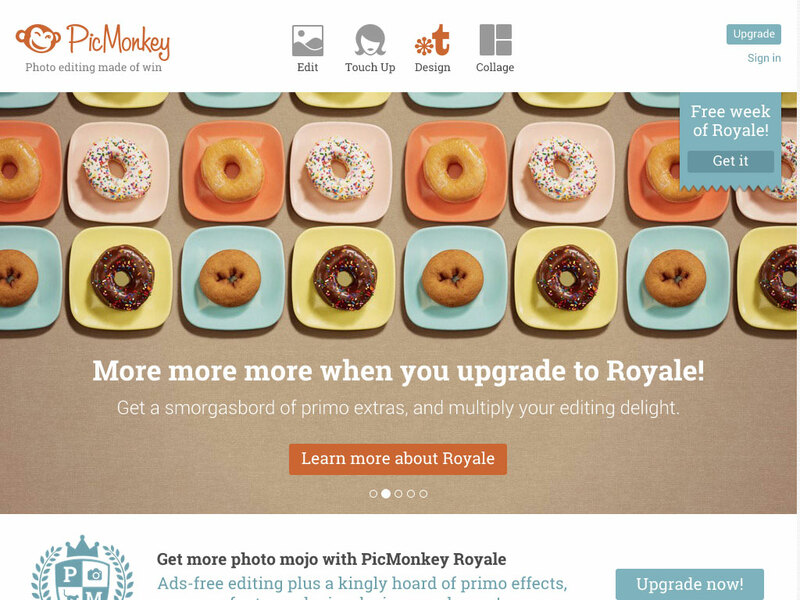 With so many options, you will need to spend time to familiarising yourself with the tools to make the most of PicMonkey. 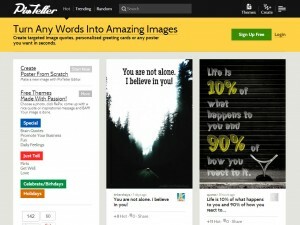 Feel free to leave us your comments or new web apps that you found online that lets you create picture quotes, posters, text images and meme posters. We would love to hear from you on your chosen web tool and how you use this to help for your school. Cool resources, some of these were new to me, so I’ll definitely enjoy experimenting with them. Thanks a lot for sharing! 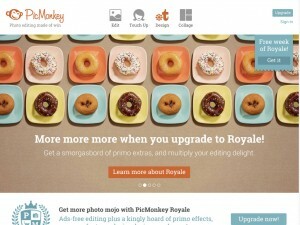 Thanks Jack, used the theme option and the picture generated is pretty impressive. 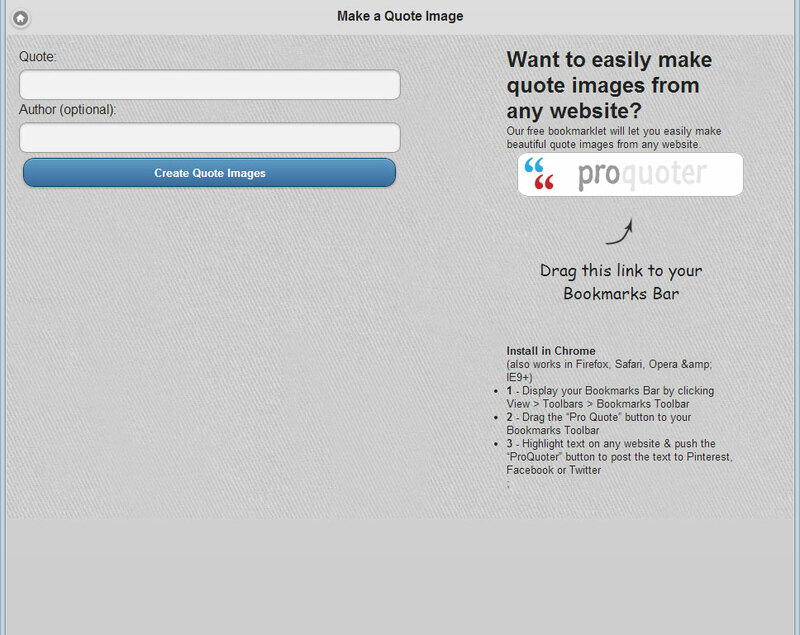 If you are looking for ready made quotes, we found QWOPS [www.qwops.com] a good source for quotes. 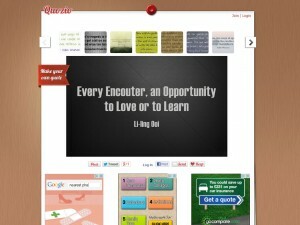 The site shows you random quotes or you can search for one. When ready, you can download and share the quote but it doesn’t let you put in your own quotes. 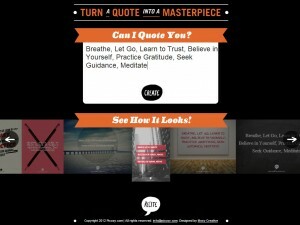 Here is another slightly different app – Quotes Alarm (http://www.quotesalarm.com) It is full of beautiful motivational picture quotes that are ready to be shared on social site right from the app. Did Recite This go under? I can’t get to their website. Thank you for noticing, it does look like both recitethis.com and recite.com is not responding although both domains are still registered. Let’s wait and see.